As our natural resources become harder to mine, the sustainability of wood as a fuel becomes so much clearer. 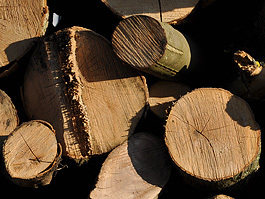 Our business is built upon tradition methods of log production, we value good old-fashioned customer relationships and respect the natural woodlands that provide us with our living. 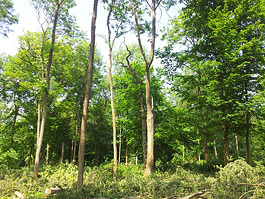 Our British historic woodlands were once very important to us in years gone by because wood was the vital material used for building, cooking and constructing. Going back in time, many everyday objects derived from wood. Items from bygone eras are now making a comeback and proving to be very popular. Equally, consumers are being increasingly conscious about where their goods have come from, the products' sustainability and carbon footprint. Our woods once provided mankind with a renewable, sustainable and dependable material to work with but, as we all become more aware of the impact of non-renewables, our attitudes are slowly changing. Take a look at any home improvement programme on the TV and you'll see people sourcing highly desirable natural building materials such as exposed structural timber, wooden furniture and flooring. Timber is very fashionable now and used in a variety of ways. It's a welcome change from the trends of the last century. There is, however, another perhaps more powerful driver behind the move towards renewables. The Renewable Heat Incentive (RHI) was the world's first long-term financial support programme for renewable heat. The UK Government launched the RHI in November 2011 with a scheme for the non-domestic sector that provides payments (similar to the feed-in tariff) to industry, businesses and public sector organisations. In 2013, the UK Government announced the rollout of the Incentive payment for homeowners scheduled to commence in Spring 2014.